Coming off his second managerial stint in 2008, Jerry Narron was ready to do anything the Rangers wanted him to do, he told MLB.com. He also wanted to still stay connected to the game that he'd been involved with in some way or another for more than three decades. "I love the game," Narron told MLB.com, "and I want to be a part of it." Up until that point in 2008, Narron was a part of the game as a player, coach and manager, both in the minors and in the majors. As a player, he got time in eight major league seasons, finding himself at one point in the impossible situation of taking over for a fallen teammate, a teammate who seemed destined for the Hall of Fame. As a manager and a coach, Narron returned to the majors, staying there for much of the next two decades, his managerial time spanning five seasons with two teams. Narron's career in baseball began back in 1974, taken by the Yankees in the sixth round of the draft out of Goldsboro High School in North Carolina. With the Yankees, Narron started at rookie Johnson City, moving to single-A Fort Lauderdale in 1975. He made AA West Haven in 1977, then AAA Tacoma in 1978. It was in April 1979 that Narron made his major league debut. But the catcher played sparingly, behind Yankees great Thurman Munson. Then came Aug. 2 and the plane crash that claimed Munson's life. In the first Yankees game after the tragedy, it was Narron behind the plate. "I caught the night before his accident and I caught the night after it," Narron recalled to The New York Daily News in 2009. "It was very tough for everybody. It was like losing somebody in your family. It was a very difficult time for everybody." In all, Narron saw time in 61 games that year for the Yankees. He moved to the Mariners for 1980 and 1981. With the Mariners in 1981, Narron got into what would be a career high 76 games. He moved to the Angels in 1983, playing there through 1986. He then played his last four major league games in 1987 back with the Mariners. In all, over eight seasons, Narron's major league career consisted of 392 games played, 21 home runs and a .211 batting average. One of those home runs came in a May 1985 game, a grand slam. "I was just trying to hit it back up the middle," Narron told The Associated Press after the game of his slam. 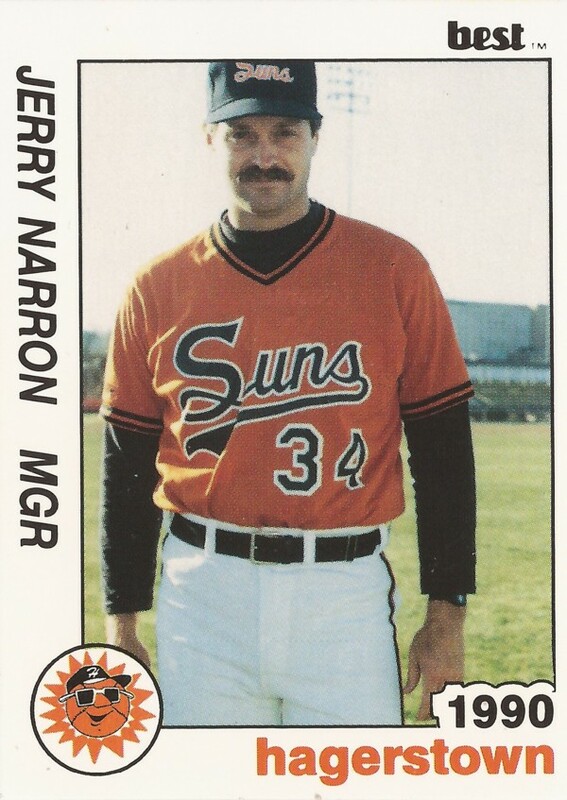 Narron's final season as a player came in 1988, with the Orioles at AAA Rochester. From there, Narron turned manager, taking over the Orioles single-A affiliate at Frederick. 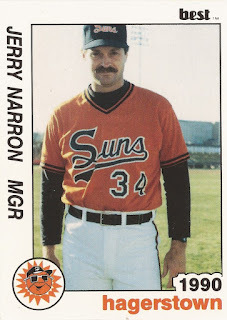 Narron then took over at AA Hagerstown in 1990, then AAA Rochester in 1992. In 1993, Narron moved back to the majors, as Orioles bench coach. Narron returned to the majors as Orioles manager Johnny Oates made good on a previous promise, according to The Baltimore Sun. "I'm pretty excited right now," Narron told The Sun after the announcement. "I talked to Johnny a couple of weeks ago, but I didn't know anything for sure until two nights ago. I'm really looking forward to it." Narron served as bench coach that year, moving to third base coach for 1994. For 1995, he moved to the Rangers, serving as third base coach there into 2001. It was in 2001 that Narron got his first major league managerial job, taking over the Rangers mid-season. He stayed with them through 2002. In 2005, Narron got his second look at a major league managerial office with the Reds, staying there into 2007. In May 2007, Narron had his team reviewing fundamentals after a poor stretch in the field, according to MLB.com. "Our infielders get a lot of work done every day, a lot of work done early and during BP," Narron told MLB.com. "The outfielders probably don't get enough throwing, especially in cut-off relay situations." Narron lasted with the Reds until the end of that June. It was in 2011 that he returned to the majors, as bench coach with the Brewers, the team where his brother Johnny Narron serves as hitting coach. He continued in that role for 2013.